Are you homeschooling gifted children? I recently had the pleasure of interviewing Corin Barsily Goodwin of Gifted Homeschoolers Forum about the challenges of teaching gifted students, and tips for overcoming those challenges. You can read the full transcript of our interview about homeschooling gifted children below. How old are your children, and how long have you been homeschooling? My daughter is thirteen and starting university classes this month, and my son is just about to turn ten and has little interest in sit-down-and-study academics. We have always homeschooled. I didn't feel we had a good alternative. My kids have food allergies, and the more I visited various classrooms to ensure a safe medical environment when my first child was ready to enter school, the more concerned I became with the mismatch between what was offered academically and what was most suitable for my child's needs. You can read the full story here. How do you define giftedness in children? In short, giftedness is a neurological condition resulting in sensitivities and intensities beyond the exclusive domain of the intellect. It's not about doing well in school, and it often co-exists with learning differences and various types of neurologically related disorders. Expecting a gifted child to think and behave like a neurotypical child is unreasonable, as is assuming that all gifted children are alike. How do parents determine whether or not their children are gifted? Parents are generally pretty aware of when their child seems "different." There are a number of behavioral checklists out there that they can peruse, although it's a rare child who meets every single criterion on any given checklist. That said, I would actually recommend that any parent with questions about giftedness or any other learning difference read enough to get a full picture. The best site out there on giftedness is Hoagies Gifted, and of course I'd send anyone interested in educational options for kids who are gifted or are both gifted and LD to the Gifted Homeschoolers Forum. What challenges do parents face when homeschooling gifted children? Well, there is the risk of a nervous breakdown! O.K., not really. I don't mean to make gifted children sound awful. However, they are often more challenging in so many ways: temperament, sensory processing, asynchronies and the frustrations inherent, emotional sensitivities, and more. Since the parents usually have many of the same issues, you get a household full of sensitive, intense people each with their own needs, and that can be a major challenge. Further, when you pick up a book on parenting, it's not generally applicable. When your child is different - and the more highly gifted, the more likely that the child stands out in some way - people notice and are more than happy to give well-meant advice intended to help you as a parent make your child into someone they are not. It can be discouraging. What are the academic advantages of homeschooling gifted children? 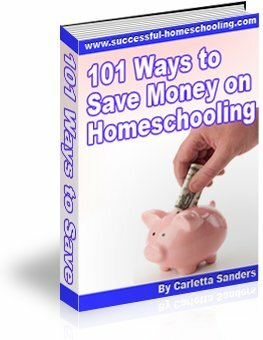 Homeschooling provides an educational environment tailored to meet the needs of the gifted child without the repetition of a modern, sequential curriculum; a focus on standards that do not support individual potential; or artificial social relations which are often poorly suited to gifted children. Flexibility is key, allowing the child to set the pace of learning and work from the educational materials best suited to them. The focus can be placed on individual strengths and interests while leaving room to work on any weaknesses. Homeschooled children also tend to have more time to pursue interests not covered in the classroom or to find experts willing to share their specialized knowledge. What are the social advantages of homeschooling gifted children? They often have greater access to like-minded people of all ages (intellectual peers rather than age peers) and to the many resources online, in the community, and at the library. There is more freedom to travel for education and social interaction. From a social-emotional standpoint, homeschooling parents can be more available to help their child navigate difficult situations as they occur. Are there any disadvantages to homeschooling gifted children? See #5, and then multiply by the number of children! How do parents of average intelligence keep up with the needs of homeschooling gifted children? What advice do you have for parents who feel unqualified or unequipped for homeschooling gifted children? While it is unlikely that a highly gifted child would have parents of average intelligence (giftedness is genetic), many parents of gifted children worry that their child is smarter than they are, or are interested in advancing in a subject that the parent feels unqualified or unequipped to teach. Fortunately, homeschoolers don't actually have to sit chained to the kitchen table with their children from 9am-3pm every weekday. Homeschool parents can guide their children by finding appropriate resources, mentors, teachers, or study groups. The library and the internet are excellent resources. Many gifted homeschoolers are also able to take occasional classes at a local school, or they take community college classes when they and their parents feel they are ready. It is not unusual to find gifted homeschoolers participating in a variety of activities (including a college class), each of which is geared toward a different age/grade level. How should parents go about designing a program for homeschooling gifted children? First they should get to understand how their child thinks, what their learning style is, and what interests them. Most packaged curriculum will not be a perfect fit for a child who whizzes through some subjects, couldn't care less about others, and refuses to do repetitious "practice" work once they understand the material. This is perfectly fine. The beauty of homeschooling these kids is that they don't have to wait for 30 other students to understand the material before they can move on. They can use non-standard materials, take topics "out of order" or with a multidisciplinary approach, and work at a pace (and during hours) that suits them. What should parents who are homeschooling gifted children look for when choosing curriculum? Parents should be aware that whatever they choose should be based on age-appropriate input from the child. If you want to avoid a power struggle, don't try to replicate school at home. Let the children have a say in the learning style and materials that work for them, and don't invest a lot of money in something that they may be finished with in just a few months. If you must use workbooks, there are plenty of decent stand-alone choices available in educational stores and online; a big, expensive package is probably not a good value. How can parents who are homeschooling gifted children combat boredom? Sometimes kids get bored. Sometimes they say they are bored because they don't like their options or they can't think of how else to describe what they are feeling. If the boredom is in regard to their "schoolwork," first try to determine if the problem is that they know the material and are ready to move on, or if they are frustrated by a clash in learning/teaching styles, lack of understanding of the concept, or if they are compensating for a hidden learning difference (eg: vision processing, etc). How can parents who are homeschooling gifted children combat complacency? Gifted children are innately curious, but some forms of education will drive that away. If a child appears unwilling to learn, as in the previous question, first try to determine what the problem is. Are they afraid of failure? Is perfectionism a problem? Have they been given the impression that they are so smart they don't need to learn? Perhaps seeing their parents reading and learning will inspire them, or an adult or another child can model interest. Sometimes, gifted kids just need time to process what they have learned already-rather than learning sequentially, a little bit every day, they learn in big chunks-then go forward until they need to plateau. In that case, let them have the time they need if at all possible. They will get more out of the material, and you will avoid a power struggle. Giving gifted kids some control over their education is a very good thing. Parents should guide, but not overwhelm. After all, we're preparing them for adulthood, and in the real world, one rarely has someone else make all of our decisions for us, right? How does a parent determine when to push the gifted child to work to his or her potential and when to let the child lead? Um, define "his or her potential." That implies that there is some unnamed standard they must reach, or that they are somehow obligated to perform simply because they can. They are not trained seals. If a little gentle guidance does not work, then you return to the point where you ask yourself why they are resisting. It's unlikely they are being difficult just to be difficult. Even knowingly misbehaving in this case is likely covering up something else. So again, parents should guide their kids, but they should also watch the child for cues as to what they are interested in, how they learn best, and when to back off. How can parents who are homeschooling gifted children balance the needs of a gifted child with the needs of siblings of average intelligence? Barring LDs or different biological parents, siblings are generally within 10 points of each other in IQ. In all likelihood, if there appears to be a significant gap in abilities between siblings, I'd suggest assessing for LDs and also considering that how the parent is determining giftedness may not be accurate. A child who performs well academically while their sibling does not is not necessarily smarter (or more gifted) than the other. A child whose giftedness manifests in non-academic areas may simply have slid under the parents' radar, and the parents need to better understand who that child is and how their brain works. In our society, we tend to value academic performance comparisons so highly that we panic if our child isn't meeting particular developmental milestones and get excited when they are ahead. In fact, those milestones are approximations of a norm that does not usually apply to gifted kids. For example, many gifted boys don't read well and eagerly until 8-10 years old, or they may not be able to memorize the times table when they are "supposed to," yet they may be engineering amazing things with building toys much earlier on, or drawing, or analyzing, or. . . anything! Balancing the needs of individual family members is always a challenge, and it behooves all of us to remember that when we start worrying about this issue. How can parents prevent the gifted child from developing prideful feelings, and prevent siblings from developing feelings of jealousy or inadequacy? That's kind of an odd question. It assumes that being gifted is something to feel prideful about (should I be prideful because my hair is brown or my eyes hazel?) and that siblings have innate reasons to feel inadequate. In general, I think these feelings come not from the child but from those adults around the child and the messages they send. If a child is getting what they need, they have no reason to feel jealous, and if a child is getting prideful, perhaps the adults should consider their own behavior. How did you become affiliated with the Gifted Homeschoolers Forum? I was the Gifted/Special Needs Advisor for a statewide homeschool association, and the job got too big to be a subcategory. With budget cuts and NCLB essentially forcing out gifted and special needs students, the growth in this population surged over just a few years. At the time, most gifted associations did not discuss homeschooling, and most homeschoolers avoided the "g" word like the plague. GHF was formed by myself and a few others to meet the needs of a growing but overlooked number of families who needed support, community, and information. What type of support does the Gifted Homeschoolers Forum offer? Gifted Homeschoolers Forum is a non-profit, all-volunteer organization that works to educate and advocate for gifted homeschooling families. Our work includes a well-regarded website with resources and articles from parents and experts, an online community for support and advice, sponsorship of events with nationally known speakers, and a schedule of conferences, lectures and other opportunities. GHF staff also attend conferences and give presentations and workshops in order to reach out to gifted families and professionals who work with them, as well as to collect cutting-edge information to bring back to our members. What advice do you have for parents who are homeschooling gifted children? Get support! Online, in person, whatever works for you. You don't have to reinvent the wheel, and you're not in this alone. You can learn more about homeschooling gifted children or the Gifted Homeschoolers Forum by visiting www.giftedhomeschoolers.org.